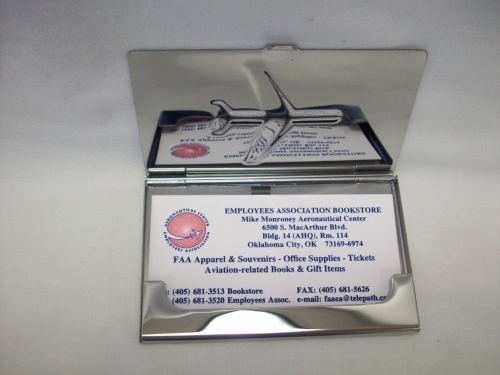 Metal airplane business card case. Approx. 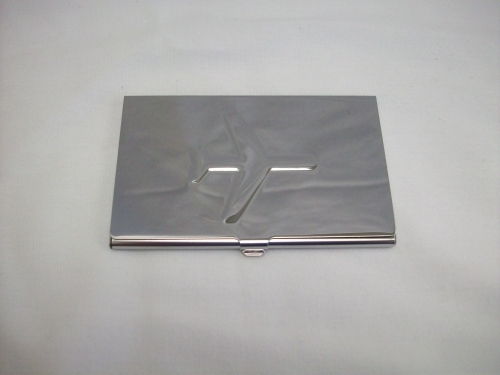 3 3/4" x 2 3/8" x 3/16".